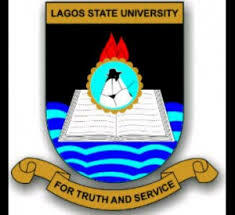 Lagos State University, LASU International Student Identity Card (ISIC) Registration Guidelines, Benefits and Timeline for 2018 Session. The Vice Chancellor, Prof. ‘Lanre Fagbohun has approved the introduction of the International Student Identity Card (ISIC) to serve as a valid proof of identification for students of Lagos State University. Additionally, the identity card affords the holders the following benefits. As endorsed by UNESCO, the ISIC is a passport for fantastic discount on goods and services in selected enterprises globally. ISIC gives the students the opportunity to save money everyday, both at home and abroad. Students are availed the opportunity to be part of the largest globally recognised, acceptable and verifiable students identity. It offers discounts on travel, shopping, museums, food, entertainment, transportation, education etc. ISIC offers scholarship on a yearly basis valued at €10,000 in partnership with the Global Study Awards, British Council IELTS and STUDY PORTAL. In view of the above, interested students are hereby advised to visit the Students Affairs Division from Monday 17th September, 2018 by 10:00am – 3:00pm daily. One Thousand Eight Hundred Naira (N1,800.00) only cash or pay with a Master Card at the registration point. Any other means of identification. Students are hereby informed that registration is still ongoing at the Students Affairs Division, Main Campus, Ojo.